In the history of Exile On Mainstream we have seen a lot happening when it comes to bands becoming a part of the family and story of this label – from the somehow traditional way of listening to a demo, seeing the band playing live, being a longtime fan to establishing a friendship first and later getting hooked on what their musical approach and output is. After the almost simultaneous demise of Germany’s Noise-stalwarts ULME and the 2nd spring of seminal Crossover punk/metal icons JINGO DE LUNCH, Ulme-guitarist and singer Arne and Jingo de Lunch singer Yvonne formed an acoustic bit named Treedeon. 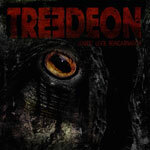 The founding of Treedeon was a result from Exile On Mainstream’s invitation for Arne to play an acoustic solo set on the 2012 (and final) edition of the SOUTH OF MAINSTREAM FESTIVAL after Ulme had been booked but disbanded right before the festival. In turn Arne asked Yvonne to accompany and both played an intimate acoustic set as a twopiece not being sure if it would remain a one-off. Shortly after a 2nd gig was booked at Berlin’s Schokoladen where KAENG-shell punisher Boomer pledged himself for being the missing link and offering to play drums. The usual followed. Songs were layed out, written and rehearsed in a dark cellar using Exile On Mainstreams equipment with Yvonne learning to play bass proper. 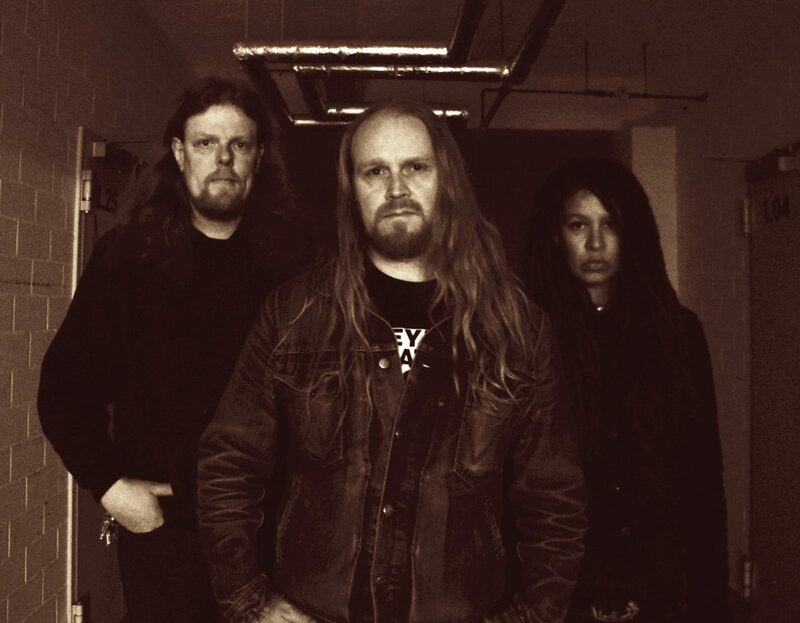 A demo was recorded in November 2013 at Ossi’s Freitonkombinat Kreuzberg and unleashed to astonished fans making clear that the acoustic approach of the first giggery was snowballed by a new, but somehow expected monstrous valkyrie of sheer heaviness, duelling vocals and screams in emotional terror. A much louder Treedeon played a first show in their local hangout ‘Franken Bar’ in Berlin. Their second show brought them to the infamous ROADBURN FESTIVAL, as part of Exile On Mainstream’s 15 years anniversary showcase. And what an impression they left! 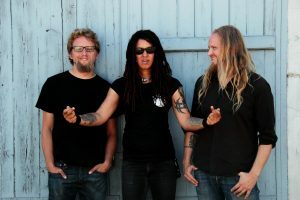 The digitally released demo began rolling around among dedicated punters and created quite a buzz for the band, culminating in an invitation to play the STONED FROM THE UNDERGROUND FESTIVAL in July 2014. From this gig on, the band found themselves on the map for lovers of Noise, Sludge, and all kinds of heavy pumping riffage, combined with an emotional approach and intimate lyrics. The first album was recorded in November 2014 and released in February 2015. Gigs at further European festivals such as STONED FROM THE UNDERGROUND and NORTH OF MAINSTREAM followed, and a tour with label-mates Black Shape Of Nexus. 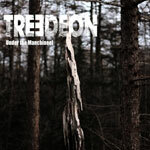 In 2017 TREEDEON entered the Studio Wong again and recorded “Under The Manchineel” which was released in early 2018.